“Do we have to read this? Why do I have to do this? Every teacher has gotten this reaction from middle level students at some time. 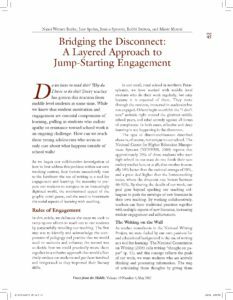 While we know that student motivation and engagement are essential components of learning, pulling in students who radiate apathy or resistance toward school work is an ongoing challenge. How can we reach those young adolescents who seem to only care about what happens outside of school walls?